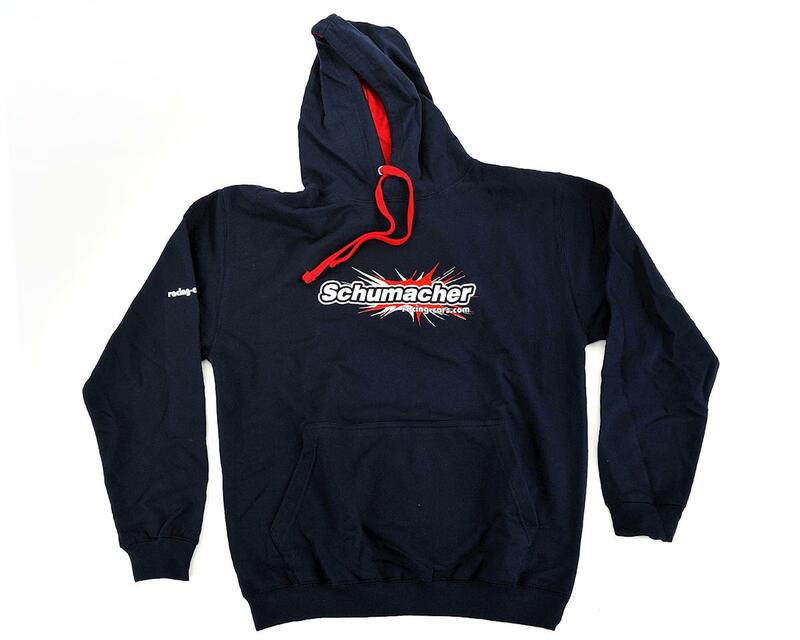 This is a Schumacher Navy Blue Hooded Sweatshirt. 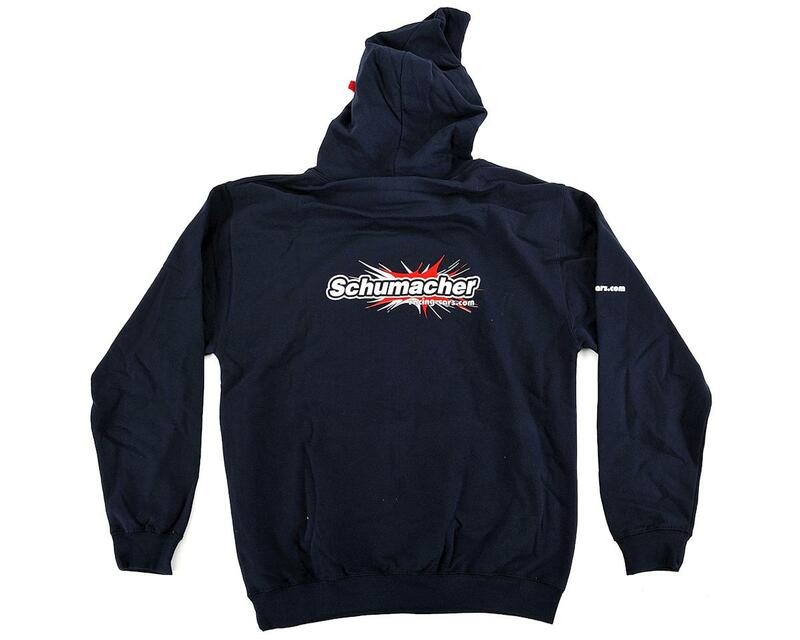 This sweatshirt features the stylish Schumacher logo front and center, as well as on the rear. The Schumacher website URL can be seen on right sleeve while red accents provide a nice color contrast against the navy blue material.